The Weinstein Company will bring the U.S Wu Xia or now known as Dragon for the western audience for a limited theatrical run and then pressed for harp copies. Dragon will hit screens on November 30 2012 but the crazy thing is….you can get the movie on Itunes at the end of this month on October 26th. 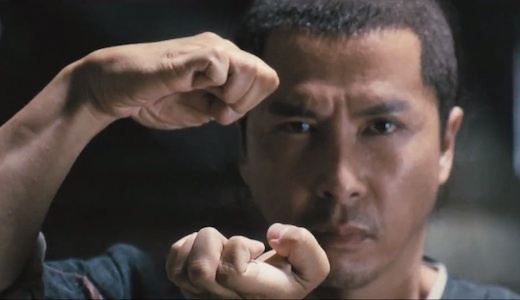 Dragon ( Wu Xia ) stars the very busy man Donnie Yen who seems to be making hit after hit. The film also stars Takeshi Kaneshiro, Tang Wei, Yu Wang and is directed by Peter Chan. No word on when this will hit DVD and Blu-Ray but I can’t wait for this as I have been waiting for more than a year for this to hit are shores. Plot: In the late Qing Dynasty, Liu (Donnie Yen) is a papermaker, leading a simple life with his wife Ayu (Tang Wei) and their two sons. Into their remote village comes Detective Xu (Takeshi Kaneshiro), who is investigating the deaths of two bandits during a robbery. Xu quickly realizes that the incident in question was no ordinary botched robbery – and his dogged inquiry threatens to dredge up the dark secrets of Liu’s buried past, threatening not only Liu and his family, but the entire village.